Washington, D.C. – Hidden within the cache of emails recently released by WikiLeaks is hard evidence of the pay-for-play operation of the Clinton Foundation. Former U.S. Secretary of State Hillary Clinton, while operating as director of the Clinton Foundation, orchestrated a $12 million dollar donation to her charity from King Mohammed VI of Morocco in exchange for the North African nation being allowed to host an international meeting of the Clinton Global Initiative (CGI), according to an emails released by WikiLeaks on Thursday. 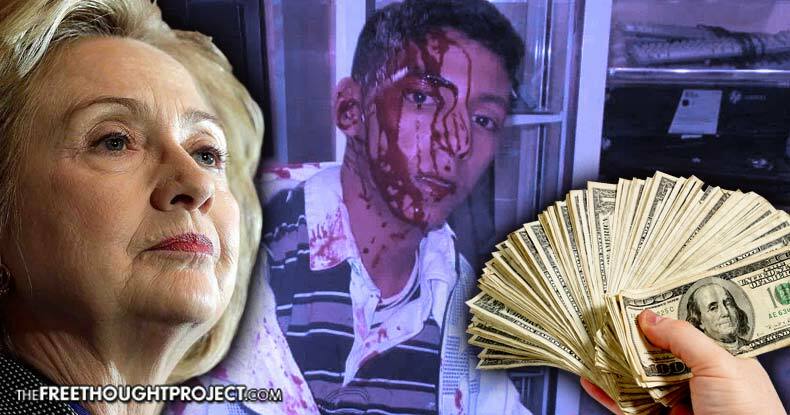 King Mohammed VI of Morocco agreed to give the money to the Clinton Foundation, on the condition that it hold the CGI conference on May 5-7, 2015 in his country and that Clinton appear as the keynote speaker. The massive donation from King Mohammed went to the CGI and the Clinton Foundation’s endowment. OCP mines phosphates. Human rights critics have called OCP’s mining product “blood phosphates,” appropriating the term “blood diamonds” for gems mined in operations that kill and injure local workers, according to the NY Post. Morroco was so corrupt, they are considered, along with Tunisia, as the country which “sentences the most journalists to prison in the Arab world.” According to Human Rights Watch annual report 2016, Moroccan authorities restricted the rights to peaceful expression, association, and assembly through several laws. The most damning email, sent by Abedin, clearly lays out how Hillary was the impetus behind the arrangement, noting that Clinton “created this mess and she knows it,” she wrote Podesta and Mook. HRC is an abbreviation for Hillary Rodham Clinton. Abedin went on to note that Hillary’s attendance at the event was a precondition of the $12 million dollar donation. “Just to give you some context, the condition upon which the Moroccans agreed to host the meeting was her participation. If hrc was not part if it, meeting was a non-starter,” Abedin said. Hillary eventually realized that that making a deal of this nature with a country accused by her own State Department of committing human rights violations could likely be used against her in her campaign for President, so she instead sent Bill and Chelsea Clinton while she continued to campaign. Keep in mind that the deal with Morocco was struck even though the State Department — under Hillary Clinton — accused the country’s government of “arbitrary arrests and corruption,” according to Fox News. Clinton “was seen by Rabat (Morocco’s capital) as among its most ardent supporters in the Obama administration,” Politico reported in 2015. OCP is not the only mining company linked to human rights violations that has donated to the Clinton Foundation. The foundation accepted a $100 million pledge from Lukas Lundin, who owns mining and oil drilling operations in North Africa and in the Congo. It seems clear that human rights mean nothing to Clinton – while money means everything. The fact that Hillary didn’t ultimately attend the conference means little, as the intent behind the deal is clear – consolidation of power and influence by any means necessary — even if that means supporting tyrants and human rights violators.